See the Business Plan Outline for a further description of each section of the plan. Why Does Every Start-Up Need a Business Plan? Every entrepreneur has heard stories of businesses that were started with little more than a few post-it notes and some back-of-the-envelope calculations. In fact, some studies have shown that for businesses that don't require startup loans or equity investment having a business plan is not necessarily a predictor of success. However, the same studies have shown that individuals who take the time to write a business plan are 2.5 times more likely to follow through and actually start a business. In addition, going through the process of creating a business plan improves entrepreneurial skills. If you have an idea for starting a new venture, a business plan can help you determine if your business idea is viable. There's no point to starting a business if there is little or no chance that the business will be profitable - a business plan helps to figure out what your new business's chances of success are. And in many cases, people starting new businesses don't have the money they need to start the business they want to start. If start-up financing is required, you must have an investor-ready business plan to show potential investors that demonstrates how the proposed business will be profitable. The market analysis will reveal whether there is sufficient demand for your product or service in your target market - if the market is already saturated your business model will need to be changed (or scrapped). The management plan outlines your business structure, management, and staffing requirements. If you business requires specific employee and management expertise you will need a strategy for finding and hiring qualified staff and retaining them. The operating plan describes your facilities, equipment, inventory, and supply requirements. Business location and accessibility is critical for many businesses - if this is the case you will need to scout potential sites. If your proposed business requires parts or raw materials to produce goods to be sold to customers you will need to investigate potential supply chains. The financial plan is the determining factor as to whether your proposed business idea is likely to be a success and (if financing is required) whether you are likely to obtain start-up funding in the form of equity or debt financing from banks, angel investors, or venture capitalists. You can have a great idea for a business and excellent marketing, management, and operational plans but if the financial plan shows that the business will not make enough income after expenses to be profitable then the business model is not viable and there's no point in starting that venture. 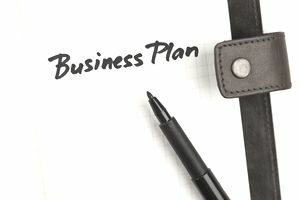 In a nutshell, then, the answer to the question, What is a business plan? is that a business plan is the due diligence that will prevent you from wasting time and money on a venture that won't work. Still have doubts? See 5 Reasons a Business Plan Is Key to Success. Because the business plan contains detailed financial projections, forecasts about your business's performance, and a marketing plan, it's an incredibly useful tool for everyday business planning, and as such should be reviewed regularly and updated as required. Note that the above is a detailed explanation of how to write a formal, full-fledged business plan; there are different business plans for different purposes. How Does the Business Plan Differ from the Investment Proposal? Not much. They both have the same contents. You can think of an investment proposal as a business plan with a different audience. The business plan is considered an internal document, unlike the investment proposal, which is designed to be presented to external agencies. For more about business plans crafted for investors, see Prepare an Investor Ready Business Plan.